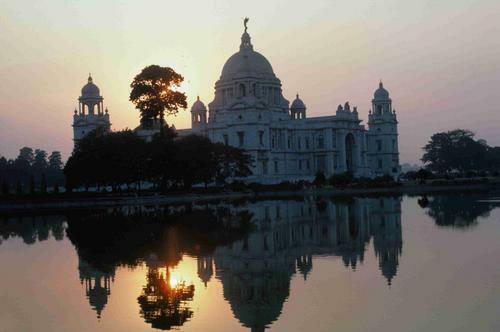 Kolkata has a nickname, the "City of Palaces". It is famous for its Rajbaris. During the British colonial era from 1700-1912, when Kolkata was the capital of British India, Kolkata witnessed a spate of frenzied construction activity of buildings largely influenced by the conscious intermingling of Gothic, Baroque, Roman, Oriental and Islamic schools of design. Unlike many north Indian cities, whose construction stresses minimalism, the layout in architectural variety in Kolkata owed its origins to the Occident. The buildings were designed, and inspired by the tastes of the English gentleman around and the aspiring Bengali Baboo (literally a nouveau riche Bengali who aspired to cultivation of English etiquette, manners and custom as such practices were favourable to monetary gains from the British). The numerous palatial mansions built all over the core city led to the city being called the City of Palaces. Today many of these structures are in various stages of decay. Some of the major buildings of this period are well maintained and several buildings have been declared as heritage structures. Conservation efforts are patchy and are often affected by problems of litigation, tenant troubles, ownership disputes, old tenancy laws and a lack of funds. Another city in India - Mysore, is called the City of Palaces because of the number of palaces it cotains. Mysore has Amba Vilas popularly known as Mysore Palace, Jaganmohana Palace which has now been converted into an art gallery, Rajendra Vilas also known as the summer palace, situated in the Chamundi Hills. Lalitha Mahal which has now been converted into a hotel and Jayalakshmi Vilas, which is now on the University of Mysore premises. The state of Rajasthan has many cities dotted with palaces that can be nicknamed 'city of palaces', but overall it is the state for palaces.